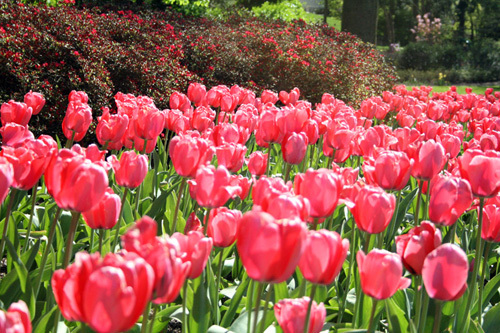 Sherwood Gardens, the most beautiful tulip garden in America, is in its full glory. Located in the heart of Baltimore City and surrounded by stately homes in the Guilford neighborhood, these gardens date back to the 1920’s. The gardens were created by John Sherwood, an avid gardener and oil tycoon. The gardens now cover an area known as Stratford Green, one of the original parks laid out by the Olmsted Brothers when they planned the Guilford community in 1913. The Sherwood house sits adjacent to the gardens. After Sherwood’s death in 1965, the Guilford Association expanded the gardens and took responsibility for their care. The City of Baltimore also contributes to the care of the gardens. 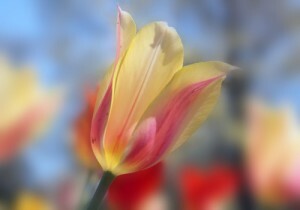 Approximately 80,000 tulip bulbs are planted annually. 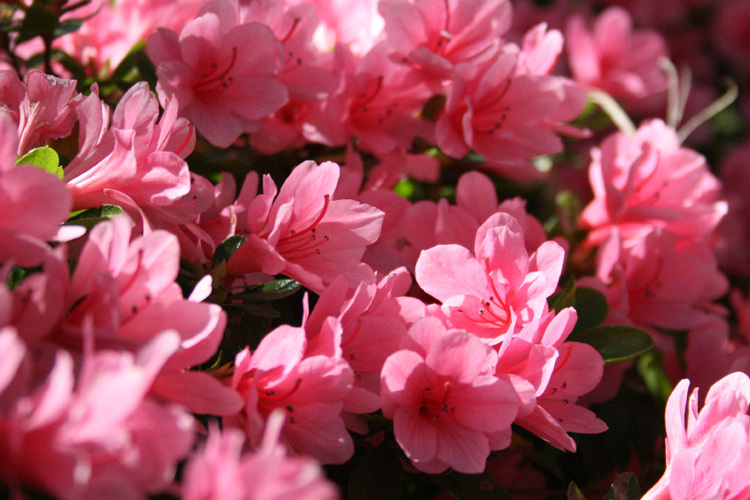 The grand show of color from the bulbs is accented by dogwoods, magnolias, azaleas and other flowering specimens some of which date back to the 1700s. The gardens span over six acres with no fences or gates. This year, the gardens are in full bloom nearly a month earlier than usual. The gardens are free and open to the public. There were many visitors today. The gardens will surely be a crowd pleaser for an Easter Sunday stroll under bright blue skies. Try not to miss it, the color passes quickly. And another year is a long time to wait. Recommended Reading — Tulip Fever, by Deborah Moggach. A novel about the Dutch equivalent of the dot com bust of the 1630s. This entry was posted in On The Road and tagged baltimore. Bookmark the permalink.